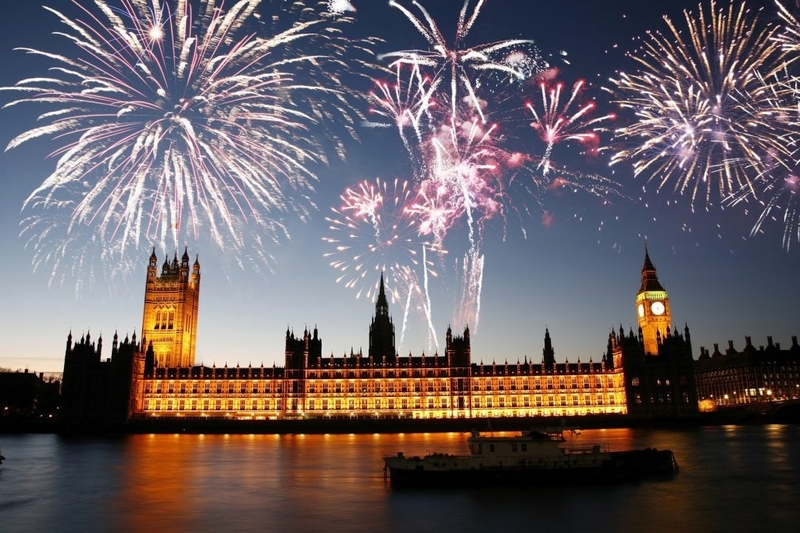 The traditions of Bonfire night are a story everybody in Britain should know, including the plot to blow up the houses of Parliament and the subsequent arrest of one of the main conspirators, Guy Fawkes. Lighting fires became part of the tradition because people across London started them spontaneously upon learning that King James I had avoided the assassination attempt. Nowadays people continue to light fires to celebrate the occasion and to get rid of burnable waste such as leaves and branches that have fallen from the trees. When planning a bonfire it is important to keep in mind you can't simply throw whatever you want on it. You should never burn household or commercial waste that could cause pollution or be harmful to people's health or the environment. Care must be taken to make sure the smoke does not cause problems for neighbours or traffic in the local area too. One of the most important things to think about when you plan to have a bonfire is how you can protect your garden. We've all seen the black marks on lawns after a fire. Sadly it is very difficult to prevent this from happening. The best way to do it is to use a brazier rather than having the fire resting on the ground. Alternatively you could dig a fire pit, taking care to remove the turf so that you can place it back after your fire. Line the edge of the pit with stones or bricks to prevent the fire from scorching the edges. A third option is to lay paving over the grass prior to the fire. This will press the grass down and can cause some damage but it won't completely burn the grass away. Just remember to remove the paving afterwards once it is cool enough; if you leave it down too long the grass will yellow and die due to lack of sunlight and moisture. 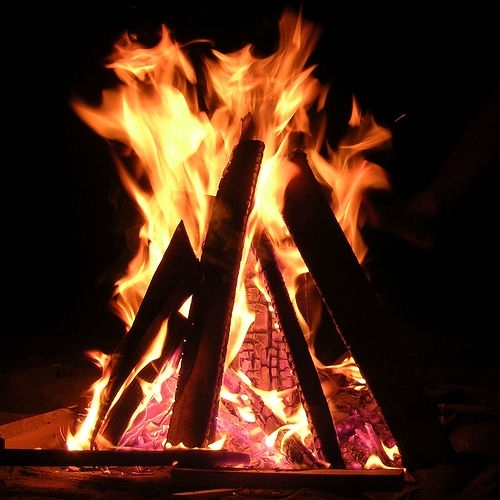 The location you choose for your bonfire should be well away from anything flammable, including fencing, decking, and wooden garden furniture. Make sure the area is clear of leaves and any household waste. The key to a great bonfire is a good foundation of tinder and kindling. Don't simply pack all of the logs, leaves, and other burnable items in a big pile. Start off with a flat base for the fire, preferably using charcoal briquettes. These will burn nicely for quite a long period. In the centre of the flat base you need to create a tent shape using tinder such as sticks, tree bark, and dried leaves. Build up from here using kindling at 45 degree angles, ensuring there are gaps so that air can get through to the tinder. Medium length sticks should then be used to add height. Again use kindling to build up. Logs form the last part, placed at intervals around the base where they will burn when they get hot enough. When you light the bonfire you need to drop the match into the inner tent of tinder. It should catch relatively quickly, especially if the materials you have used are very dry. Never use any other fuels to help start the fire, including petrol or methylated spirits. These can cause uncontrollable blazes and are very hazardous. If you follow the advice about you could enjoy a great bonfire this year and keep your garden safe in the process. To help you make sure your party is safe Hillsborough Fencing would like to provide some useful tips. 1. Keep it away from flamable materilals like fences, sheds and over hanging trees. 2. Ensure your bonfire is stable. The last thing you want is a collapsed bonfire that could be tripped over. 3. Be very careful with what you put on your bonfire. 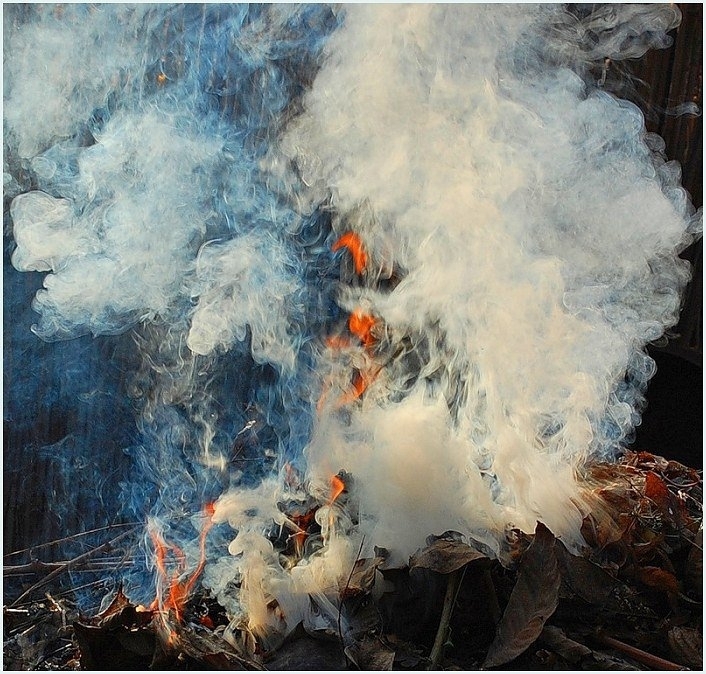 Avoid anything that will produce heavy smoke such as wet wood and weedy materials. Stay away from plastics, treated woods and anything else that will produce harmful fumes too. 4. Don't set your bonfire up too far in advance. This gives wild animals the chance to build homes inside. Wet weather could also soak everything, making it difficult to start the fire on the night and potentially producing much more thick smoke. 5. Make sure fireworks are set up securely away from anything flamable. Try using a heavy planter filled with wet soil. This will ensure it doesn't tip over or scorch the surroundings. 6. Being able to move around your garden safely is very important. You should ensure that paths, patios, steps, and other obstacles are illuminated so that nobody trips. 7. It is wise to have buckets of water and soil or sand handy to tackle any fires. Keep in mind that some types of wood spit and spark. This may scatter small embers that could cause another fire to start. 8. Make sure that sparklers are placed in the bucket of water rather than thrown on the ground or in a bin when they are hot. Hillsborough Fencing hopes you have a wonderful Bonfire Night and stay safe. If you need any garden products to help prepare or to want to freshen the space up afterwards, we have a fantastic range on our website.